The Giant Speaker is a Limited Edition Tactical type weapon. This trap is guaranteed to harsh any rocker's mellow. The minute a mouse comes into the range of the ring of microphones, the slightest noise is amplified a billion times, rocketing them across the room on a wave of sound. Collecting mice is a cinch when they're disoriented and temporarily hard of hearing. 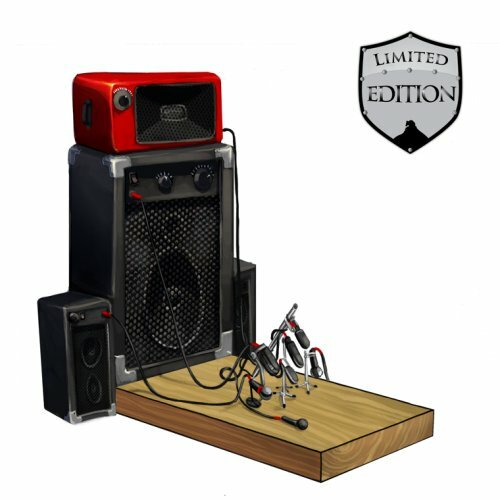 The Giant Speaker is a Limited Edition weapon and can no longer be acquired by Hunters. It could be purchased for 612,800 gold from Ronza's Traveling Shoppe during the Ronza's Rockin' Return event in late 2009. It could be refunded for 110,304 gold at the same location. 20 October 2009: The Giant Speaker was introduced as part of Ronza's Rockin' Return. This page was last edited on 13 January 2019, at 15:45.